Home All Helmet Reviews Scorpion’s do everything adventure/road modular helmet: the Scorpion ADX-1. 11 Best place to buy this Scorpion crash helmet? 16 Good Alternatives to the Scorpion ADX-1? 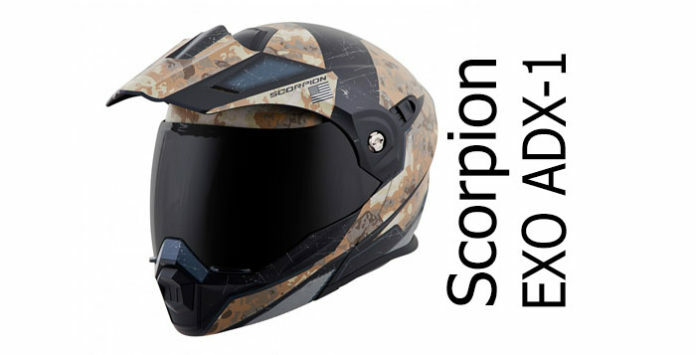 Review of the Scorpion EXO ADX1 AT950 modular adventure helmet. 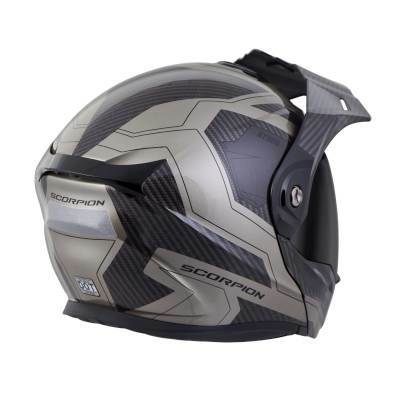 The Scorpion Exo ADX-1 (same as the AT950 if you’re in the US) is Scorpion’s take on making a hyper-flexible adventure/dual sports helmet. Going off-road? Pull off the visor, push on the peak and slap on the goggles. Off you go. And it’s a bit of a bargain too. Nudge down the page a bit and you’ll see you can have all this for really not very much money at all. Interested..? 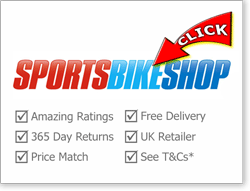 We recommend SportsBikeShop (UK) for competitive prices, free delivery and 365 day returns backed by outstanding reviews. 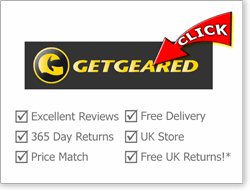 Also GetGeared (UK) who offer free delivery (and free 365 day returns) and who get very good online reviews for service too. 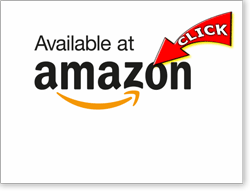 Or you can click through to the Scorpion helmets pages at Amazon if you prefer to buy from there. 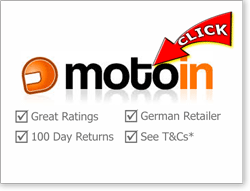 If you like to buy in Euros, Motoin are a quality German operation with decent prices and great review scores. Please see here for more info on our recommended stores or click the links to go straight to their Scorpion helmets pages. It’s quite tricky to say how much protection the Scorpion ADX-1 will give. 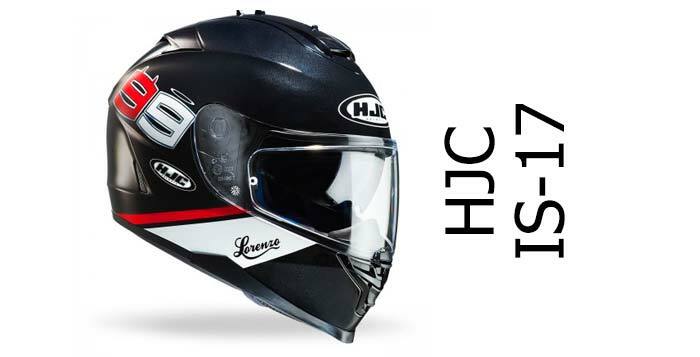 Yup, it’s ECE certified in Europe (and the AT950 is DOT in the US) which is great – but then every helmet on sale is too because it’s mandatory. Looking at recent SHARP independent test data for Scorpion helmets might give us a bit of a clearer picture. The ADX1 is a polycarb helmet – and of the last four polycarbonate Scorpion helmets tested, they’ve scored one four star, two threes and a two (out of five). Of course, it’s not possible to say from this past test data how well the Scorpion ADX-1 would do. But, if pushed, we’d expect a middling 3 star SHARP rating and, hopefully, a 90%+ chin bar score. Hopefully they’ll prove us (pleasantly!) wrong if SHARP gets around to testing it. 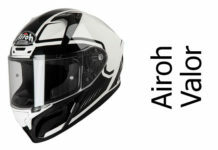 Onto other safety features: there’s a nice wide/tall visor for great peripheral vision, a simple to use (and safe) micrometric fastener, plus that visor comes with a Pinlock antifog in the box (Europe only) to keep your vision clear. And of course there’s a drop down sun visor to help visibility when the sun’s in your eyes. Surprisingly, the ADX-1 with all its peaks, grooves and external sliders turns out to be a pretty quiet modular. At least, that’s what lots of owners reckon. Despite the ADX-1 only having a single chin vent and single crown vent, ADX owners reckon the ventilation is very good. Not amazing – especially if you live somewhere mega hot or you’re doing lots of strenuous off-roading – but fine for most of us who’ll be mostly road riding with a little sojourn off road from time to time. That single chin vent has a large three-way slider. Fully up is closed; one down vents the back of the visor, and fully down directs air to the face. As I said, most owners reckon the venting’s great. They also reckon the chin curtain that comes in the box is great at stopping a draft coming up from below – or you can keep it off if you want the extra venting. And of course, if you’re still too hot when riding, you’ve always got the option of pushing the visor up and riding with the sun visor down. Or sticking goggles in. Don’t be tempted to ride with the chin bar up though. It’s not P/J dual homologated in Europe and Scorpion don’t recommend it either. The visor system on the ADX-1 is a great piece of work. Word is that the visor is optically very true and, in the Europe at least, it’s Pinlock ready and there’s a Pinlock anti-fog insert included in the box. That’s a great addition and, for riding in Norther Europe especially, it’s a must to keep things clear. Outside of Europe, chances are you’ve got Scorpion’s Everclear antifog treatment on the visor as well as both sides of the sun visor (you’ll find Everclear on both sides of the sun visor in Europe too). The visor isn’t quick-release because it’s shares its pivot with the peak – which is no biggie really because you’ve got a drop down sun visor in there so no need to keep swapping visors out if it gets sunny. 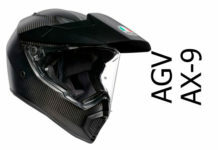 Oh, and note, despite all the pictures showing a dark tinted visor, buy one and it’ll come with a clear visor. That sun visor is actuated by a small slider behind the left hand visor pivot. A quick short-travel slide and down it drops. Don’t expect it to be massively tinted because by law they’re not allowed to cut out too much light. But they’re enough to stop you getting dazzled and head-butting something. In fact lots of ADX-1 riders said how useful they find it. One good thing about the sun visor is that it’s double-coated (front and back) with Everclear, which is an antifog technology, so that should help with demisting. It also gives you a double helping of UV protection – polycarbonate visors give 95%+ UV protection anyway (can be much more depending on type of polycarb) but doubling that with the sun visor can’t hurt, right? The ADX-1 is designed to take a pair of goggles. Whip off the visor – you’ll have to take off the peak first – and put on some goggles. Or you can put them on with the main visor still in place though you can’t close the visor if you do – unlike some adventure helmets. If you do whip it off to convert the helmet into a street helmet, there are a couple of Arai-style side pods in the box to cover up the visor’s ratchet mechanism. The chin guard on the ADX-1 has an EPS lining, which is rare to find and great for safety/protection – and hopefully its locking mechanism will prove a good one. The Scorpion ADX1 hasn’t been dual homologated so it’s not been designed to be used while the chin bar is raised. Plus Scorpion advises against it so definitely best not to ride with the guard up. Inside the Scorpion ADX1 you’ll find their KwikWick2 comfort liner. The ADX-1 suits a medium oval head shape. 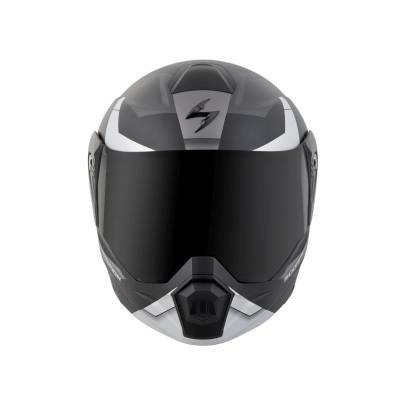 That’s the shape of most of our heads in the West – though you might want to click this link to find more suitable helmets if your head’s a longer oval shape. However, many owners found the sizing a bit small, so if you’re usually a size large, you might want to try an XL with the ADX. Because there were quite a few folks saying they initially found their ADX’s gave them pressure points, it’s definitely worth giving it a thorough try in the house before you venture out. Remember, you’ve gotta do that without removing the stickers/tags and before you decide to keep or return it otherwise retailers won’t accept it as a return. Just as a note, all our recommended retailers accept your returns/exchanges without a quibble (just sayin!) but still, you’ve gotta keep on those tags. Scorpion has managed to pull off a neat trick with the ADX-1. 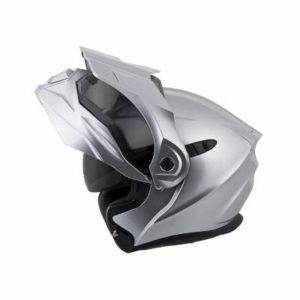 Not only does it look like… well pretty much every other dual sports helmet. But pull off the peak and it does a decent impression of an aggressive full face with a nod towards a streetfighter helmet. The Scorpion ADX-1 has been designed to work well with bluetooth communicators. There’s some large speaker pockets in there and plenty of space to hold the bluetooth unit on the side. Because it’s a modular, you’ll probably need a boom mic of course, but Scala G9 and Packtalk owners said their sets fitted without a problem. 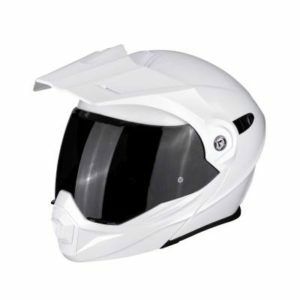 The ADX is a polycarbonate adventure helmet which means it’s going to be heavier than normal plus it’s got all the extra bits and pieces you need to make a modular dual sport helmet like that peak and chin guard mechanism. Handily, there’s a glasses groove inside the ADX – what Scorpion calls KwikFit. And a couple of owners said they can even put their ADXs on without removing their glasses, no problem. Onto build quality. 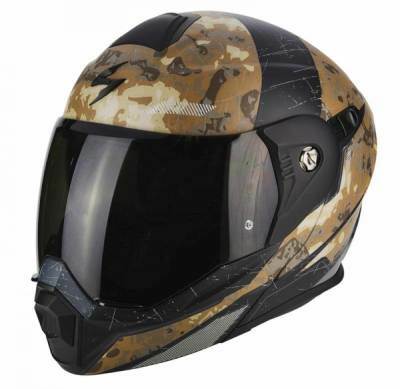 OK, the ADX1 is a lower priced helmet so you’ve gotta take that into consideration. 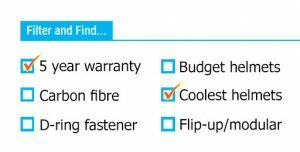 But owners say the build quality is really good with fit and finish being of high quality and things like air seals working really well. There were problems with the helmet shell colours fading on some helmets, but happily those we found who reported that problem (not too many) also said Scorpion replaced the helmets quickly under warranty so you can’t say fairer than that. The Scorpion ADX-1 is a properly versatile helmet. OK, most owners are going to use it on the road rather than true adventuring off road. But that’s fine because it’ll work just as well as a cool looking street helmet as it will splashing up green lanes. If you’re after the best, proven, protection out there, then you might want to look elsewhere such as the 5 star rated Caberg Tourmax or the Snell certified Arai Tour X4 mentioned below. That’s simply because the ADX1 hasn’t been independently tested over and above ECE testing – which isn’t Scorpion’s fault. 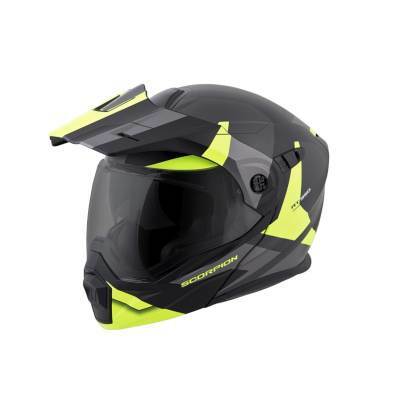 But if you’re after a flexible helmet that offers great value for money, is all day comfortable, comes with a Pinlock visor (and insert) and has most of the bells and whistles you could possibly want from an adventure helmet, then the Scorpion ADX-1 is well worth a look. Good Alternatives to the Scorpion ADX-1? If you’re after a proper ‘do everything’ helmet you might be surprised to find out there’s a few other helmets that do a similar job to the ADX1. There’s one of our perma-favourites, the Caberg Tourmax. That’s a modular dual-sport and it’s been tested by SHARP and awarded a maximum 5 star rating – though its chin bar scored 87%. It costs about the same as the Scorpion, has a sun visor and Pinlock too. 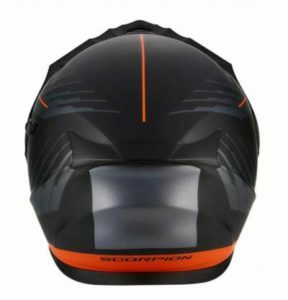 You should probably check out the Schuberth E1 too because that’s a modular adventure lid as well – though this one’s fibreglass and a ton more expensive. 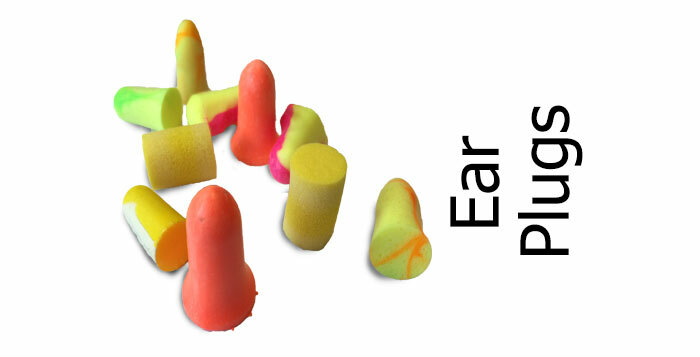 It’s pretty quiet and has an adjustable peak which is useful. 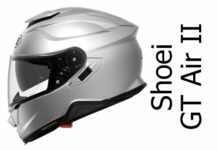 Finally, another more expensive option – this time from Arai. 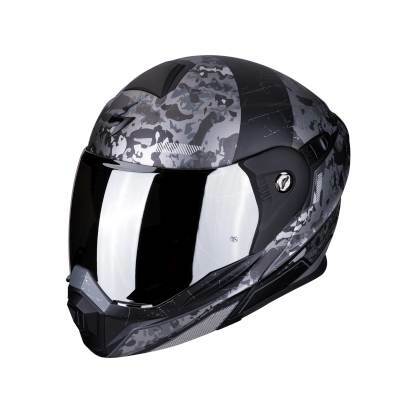 The Arai Tour X4 isn’t a modular either but it is a well rated and versatile adventure helmet. Snell certified in the US, it’s another helmet you can remove the (adjustable) peak from to transform it into a road helmet. Plus you’ll get that legendary Arai build quality. 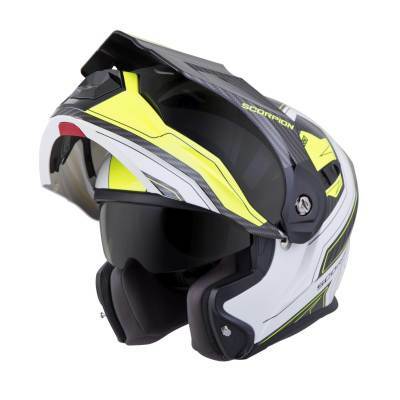 The Scorpion ADX-1 (AT950 in the States) is one versatile adventure helmet. It works on a road bike, it works on an adventure bike and you can rip off the (Pinlock) visor and shove in some goggles and it'll work on an Enduro/dirt bike too. Owners love theirs and it's cheap too. Just check you've the right head shape (and maybe buy a size up) and you're good to go. 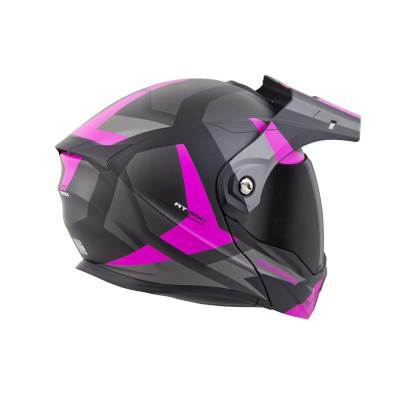 If you're in the market for a flexible adventure lid, then the ADX1 is well worth a try. 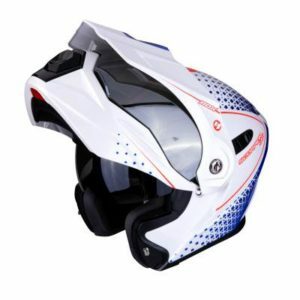 Previous articleSHARP 5 star sportsbike helmet on a budget anyone?